Mystic and mentor, Podmaster Merl is the Yoda of the story; a wise and wizardly old whale who serves as spiritual mentor and guardian for Finney. Merl is both sage and childlike, quirky and serious, and swims about in a glowing halo of pearlescent light. 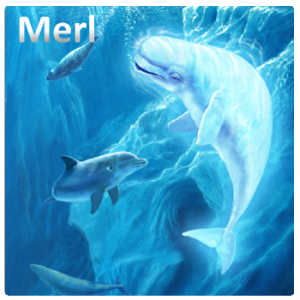 The story is woven around Merl being the Narrator who tells some young dolphin and whale calves a bedtime tale about the legend of the Star Breachers.